Yeah, that's a nice one! What did you use making it? Inkscape? FYI, in that diagram, X and Y dimensions represent space and time, respectively, and the Z dimension represents narrative tension. Come on! Word?! Nice :D So you have layers of space and time (different locations in a progressing time line) with corresponding narrative tension? 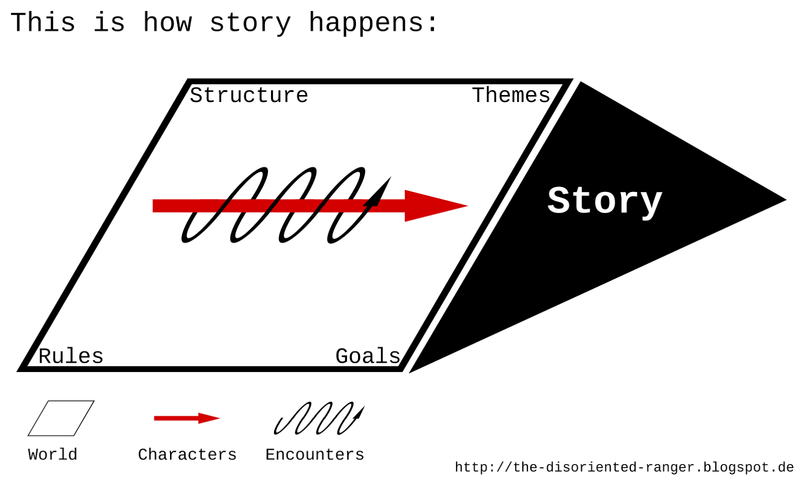 Actually looks like (or very close to) the classic five-stage story structure?